KAPIL PANWAR B. Tech 2 nd Year Electrical Engineering. 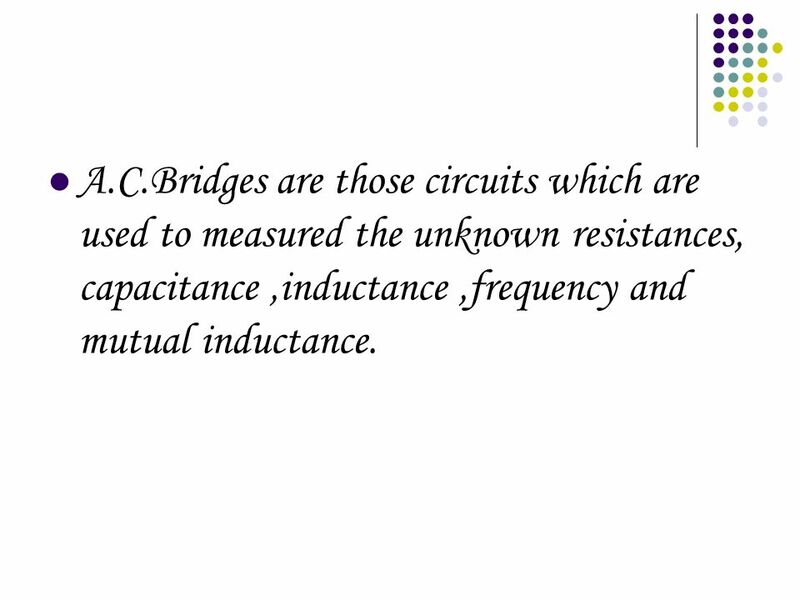 3 A.C.Bridges are those circuits which are used to measured the unknown resistances, capacitance,inductance,frequency and mutual inductance. 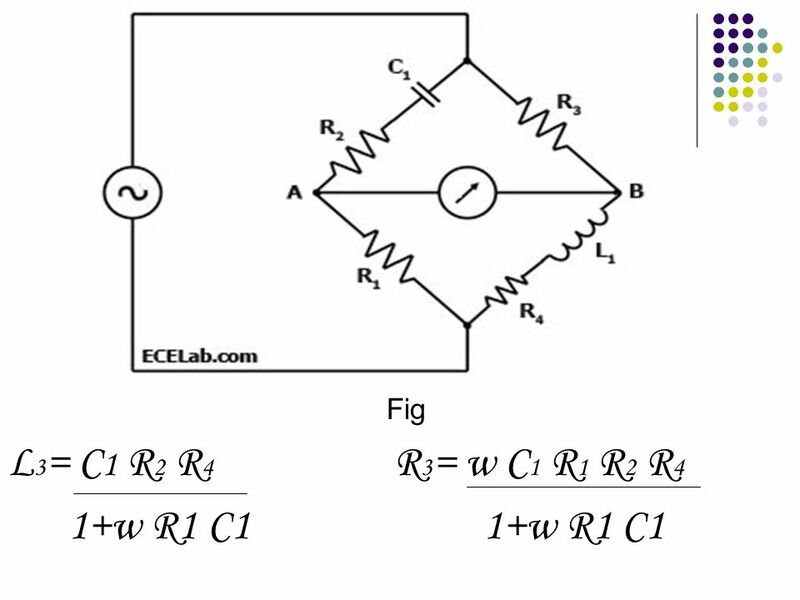 6 Inductance and capacitance can also be measured by a similar four-arm bridge, as shown in fig.b. 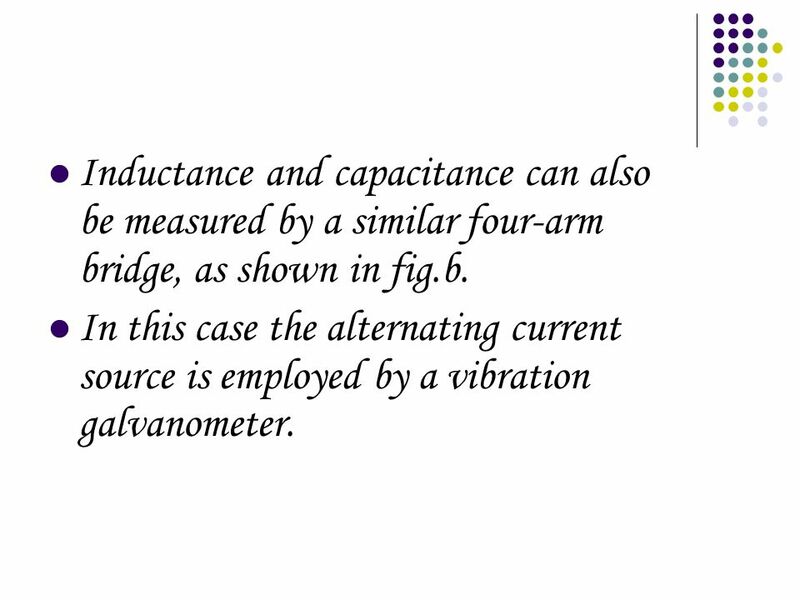 In this case the alternating current source is employed by a vibration galvanometer. 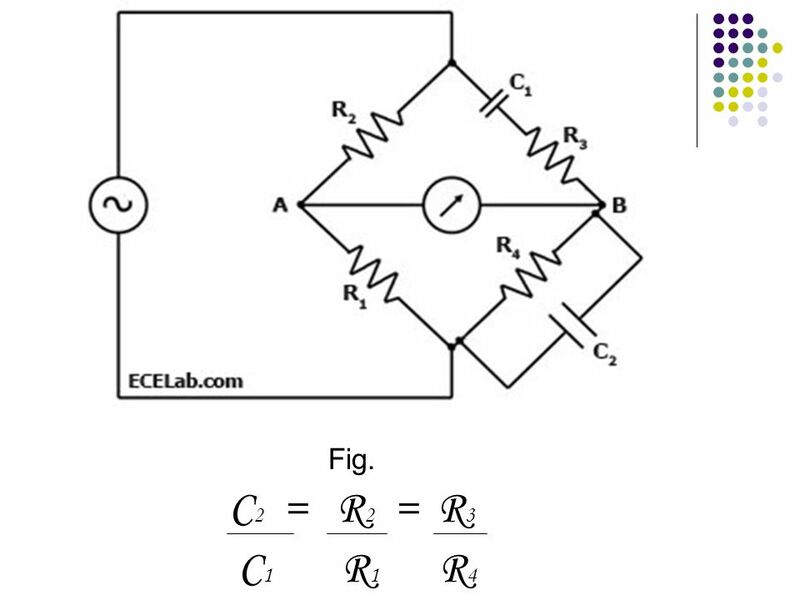 8 Maxwells inductance Bridge In the Maxwells inductance bridge,there are two pure resistances used for balance relations but on other side or arms the two known impedances are used. 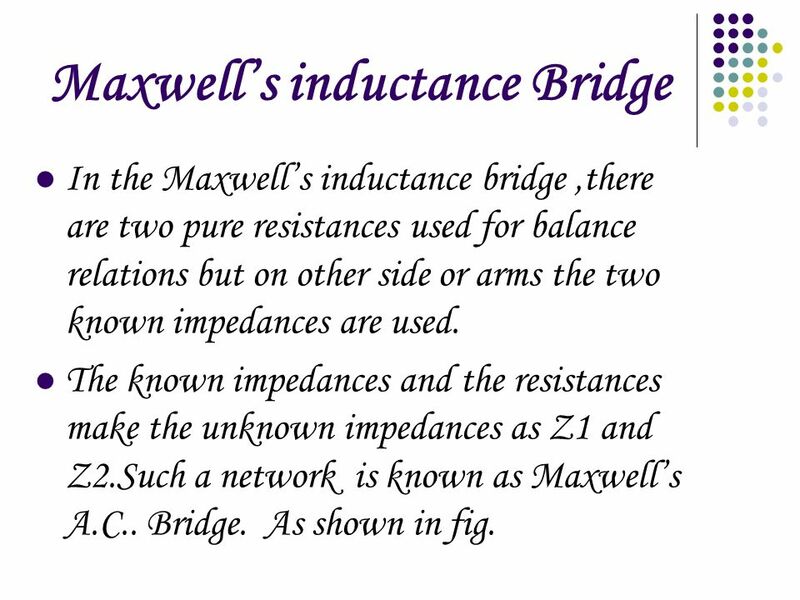 The known impedances and the resistances make the unknown impedances as Z1 and Z2.Such a network is known as Maxwells A.C.. Bridge. As shown in fig. 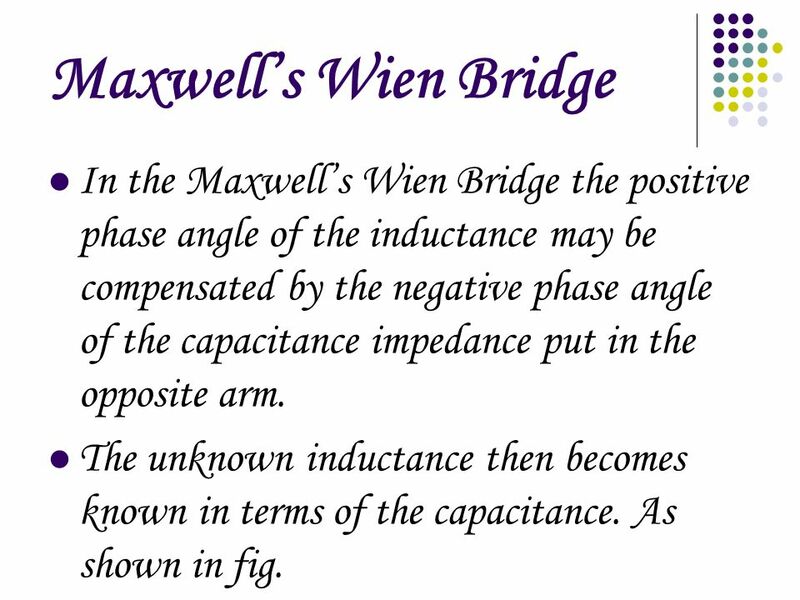 10 Maxwells Wien Bridge In the Maxwells Wien Bridge the positive phase angle of the inductance may be compensated by the negative phase angle of the capacitance impedance put in the opposite arm. 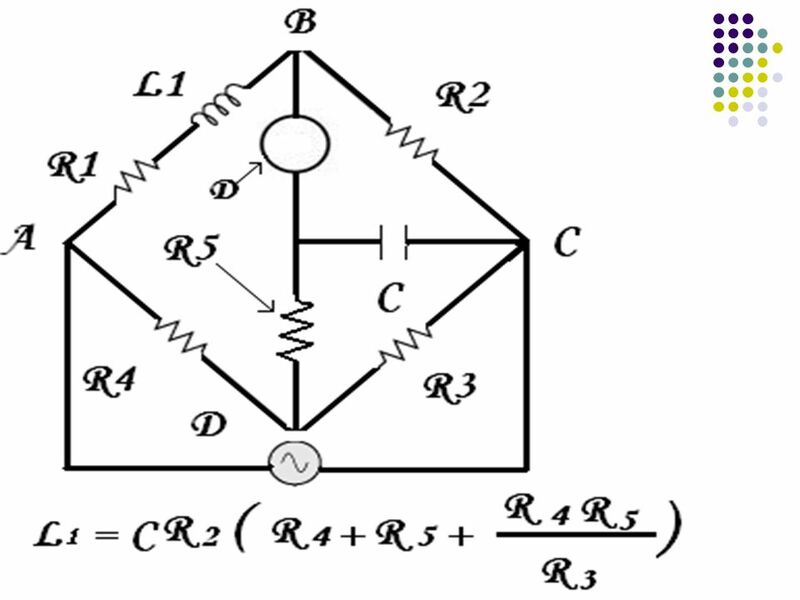 The unknown inductance then becomes known in terms of the capacitance. As shown in fig. 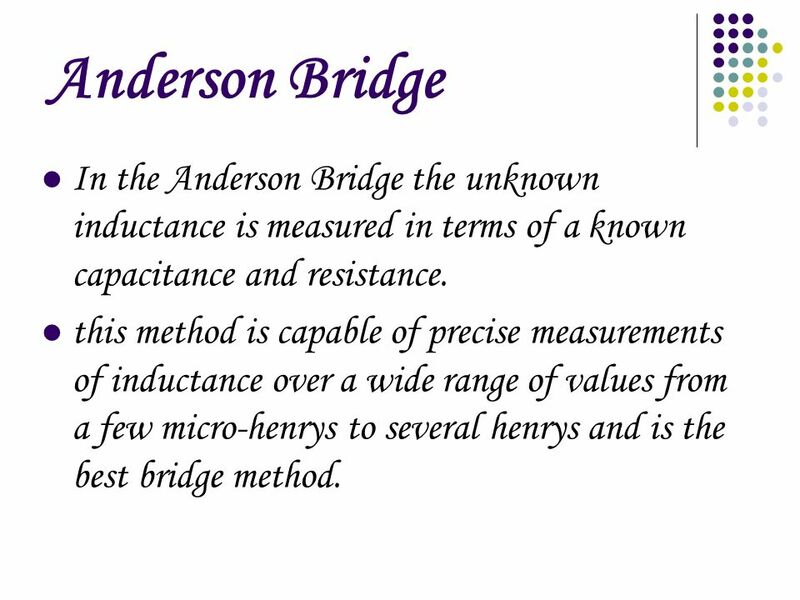 12 Anderson Bridge In the Anderson Bridge the unknown inductance is measured in terms of a known capacitance and resistance. 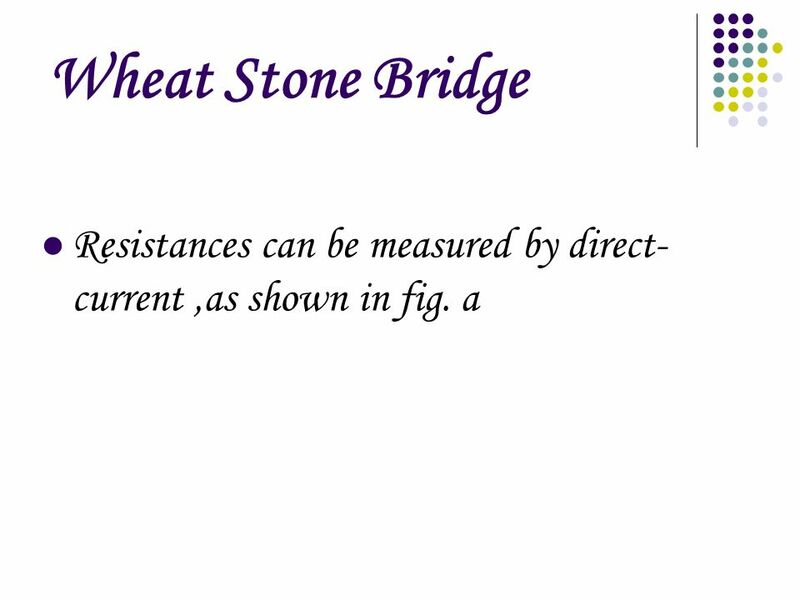 this method is capable of precise measurements of inductance over a wide range of values from a few micro-henrys to several henrys and is the best bridge method. 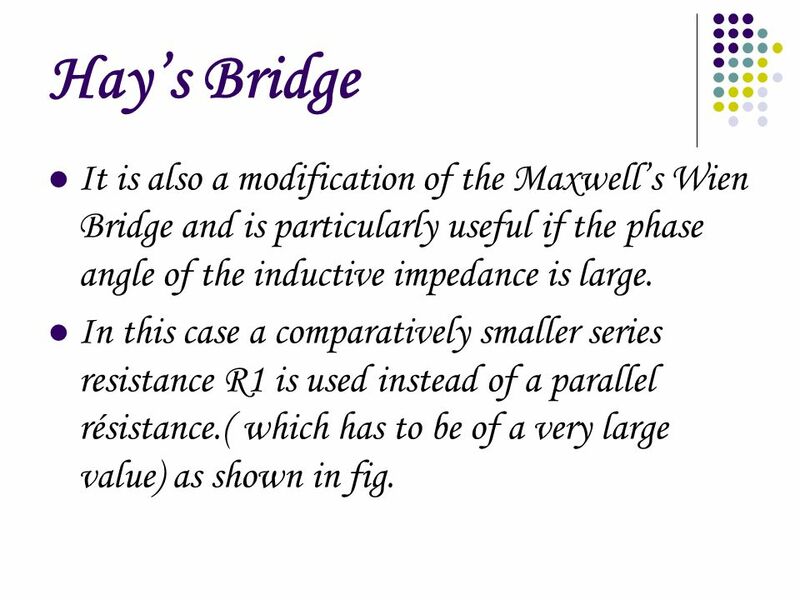 14 Hays Bridge It is also a modification of the Maxwells Wien Bridge and is particularly useful if the phase angle of the inductive impedance is large. In this case a comparatively smaller series resistance R1 is used instead of a parallel résistance. ( which has to be of a very large value) as shown in fig. 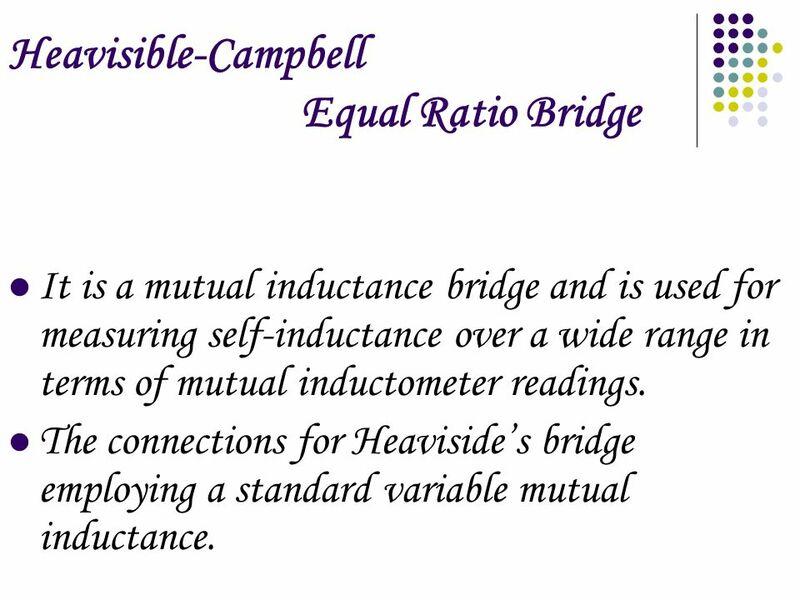 16 Heavisible-Campbell Equal Ratio Bridge It is a mutual inductance bridge and is used for measuring self-inductance over a wide range in terms of mutual inductometer readings. 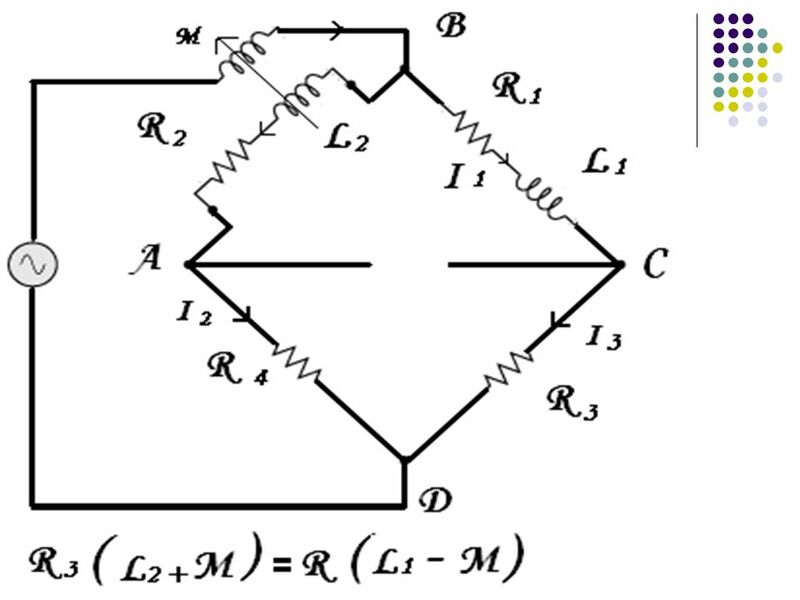 The connections for Heavisides bridge employing a standard variable mutual inductance. 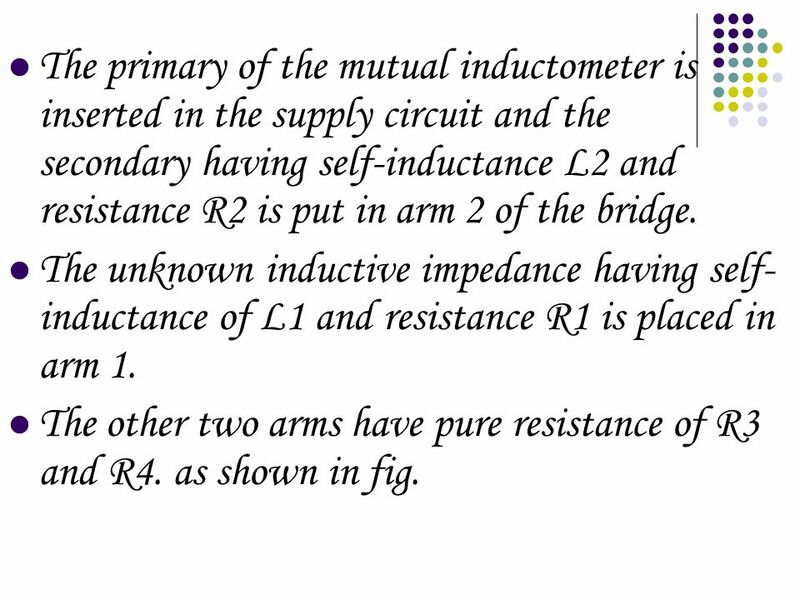 17 The primary of the mutual inductometer is inserted in the supply circuit and the secondary having self-inductance L2 and resistance R2 is put in arm 2 of the bridge. 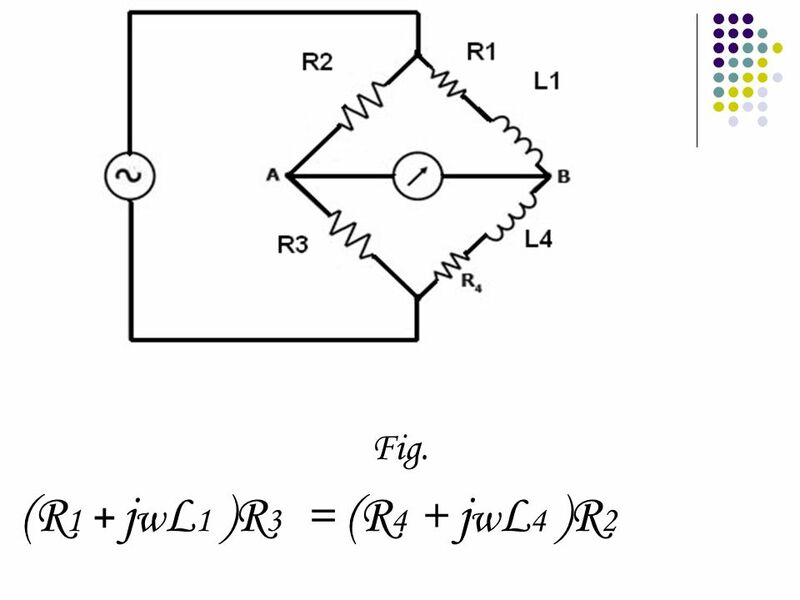 The unknown inductive impedance having self- inductance of L1 and resistance R1 is placed in arm 1. The other two arms have pure resistance of R3 and R4. as shown in fig. 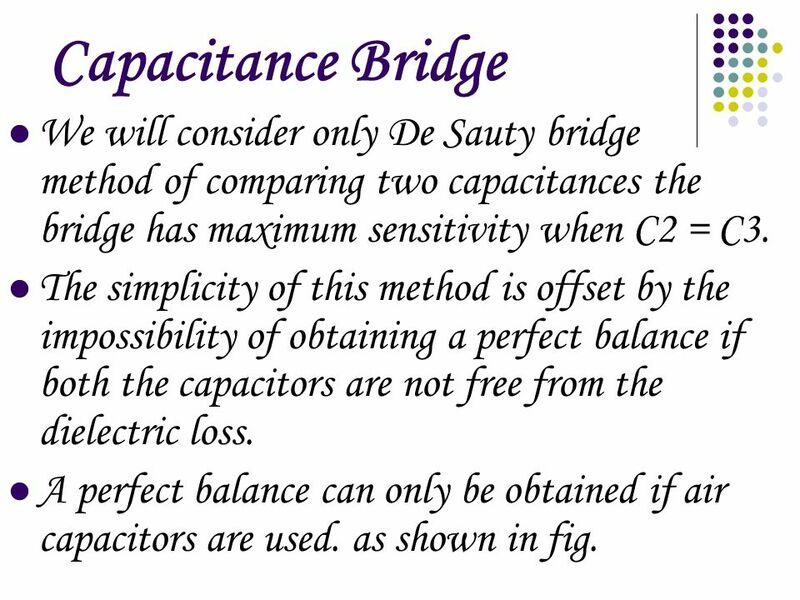 19 Capacitance Bridge We will consider only De Sauty bridge method of comparing two capacitances the bridge has maximum sensitivity when C2 = C3. 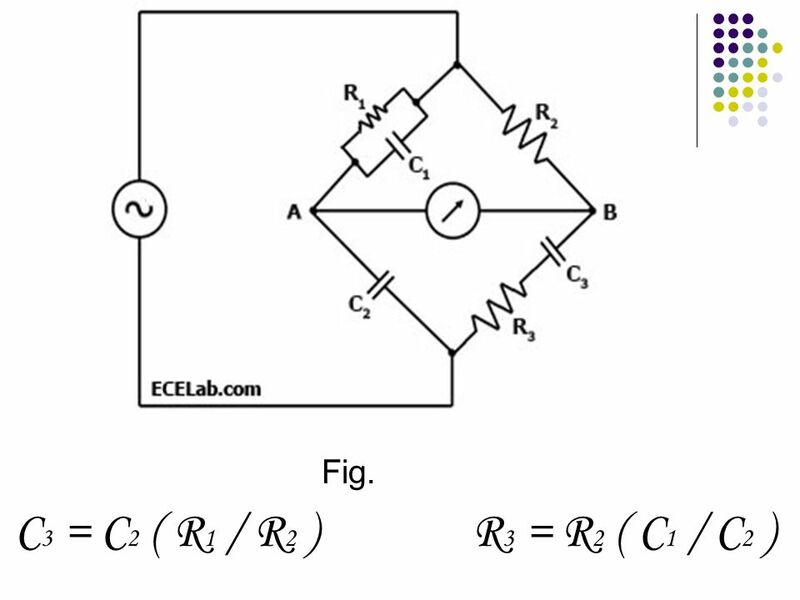 The simplicity of this method is offset by the impossibility of obtaining a perfect balance if both the capacitors are not free from the dielectric loss. A perfect balance can only be obtained if air capacitors are used. as shown in fig. 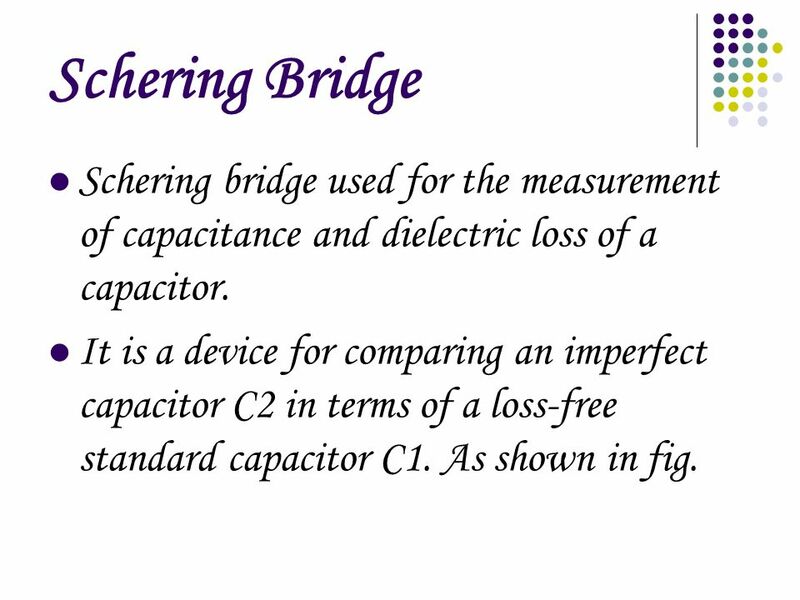 21 Schering Bridge Schering bridge used for the measurement of capacitance and dielectric loss of a capacitor. 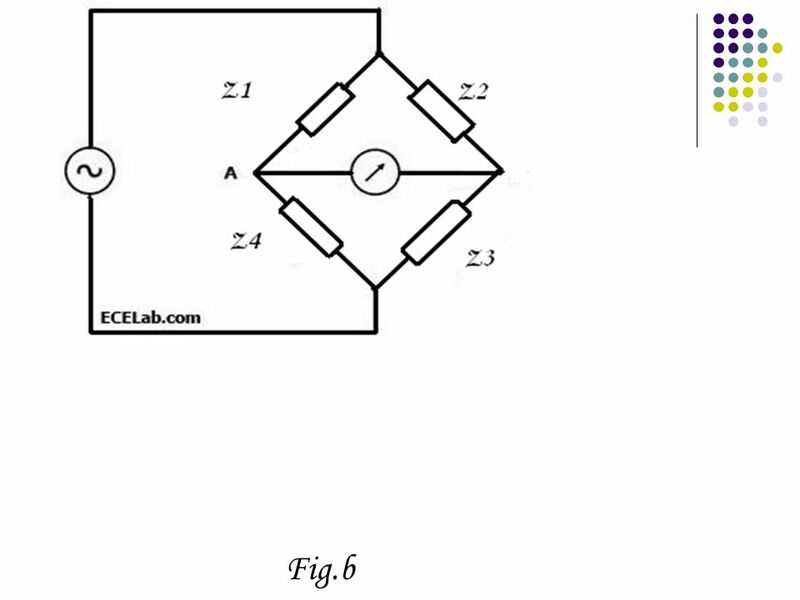 It is a device for comparing an imperfect capacitor C2 in terms of a loss-free standard capacitor C1. As shown in fig. 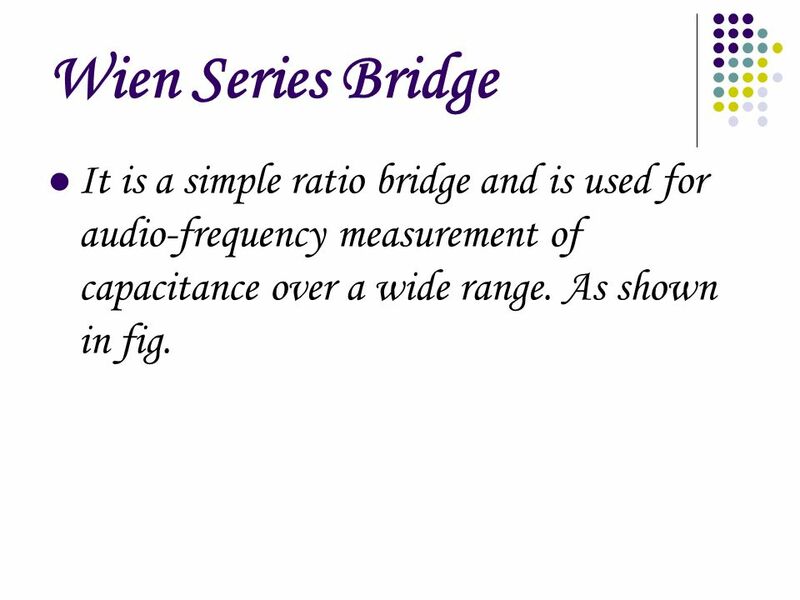 23 Wien Series Bridge It is a simple ratio bridge and is used for audio-frequency measurement of capacitance over a wide range. As shown in fig. 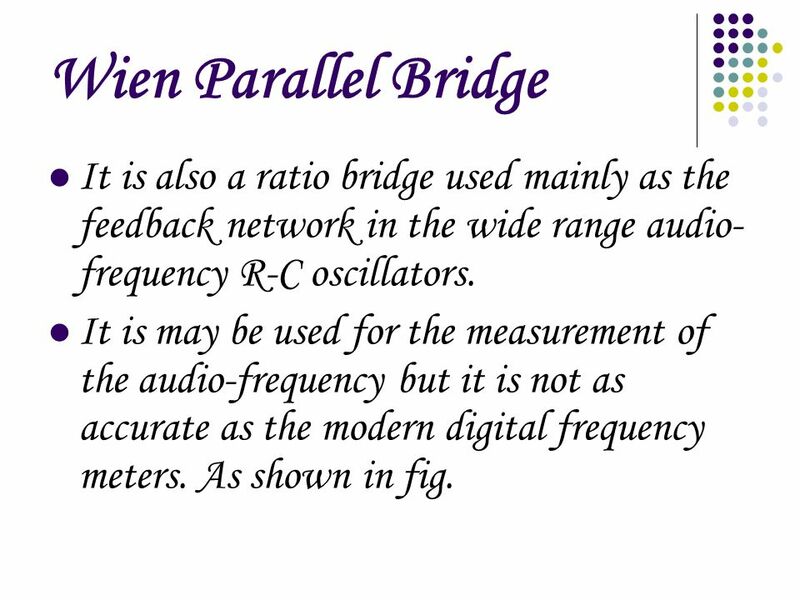 25 Wien Parallel Bridge It is also a ratio bridge used mainly as the feedback network in the wide range audio- frequency R-C oscillators. It is may be used for the measurement of the audio-frequency but it is not as accurate as the modern digital frequency meters. As shown in fig. 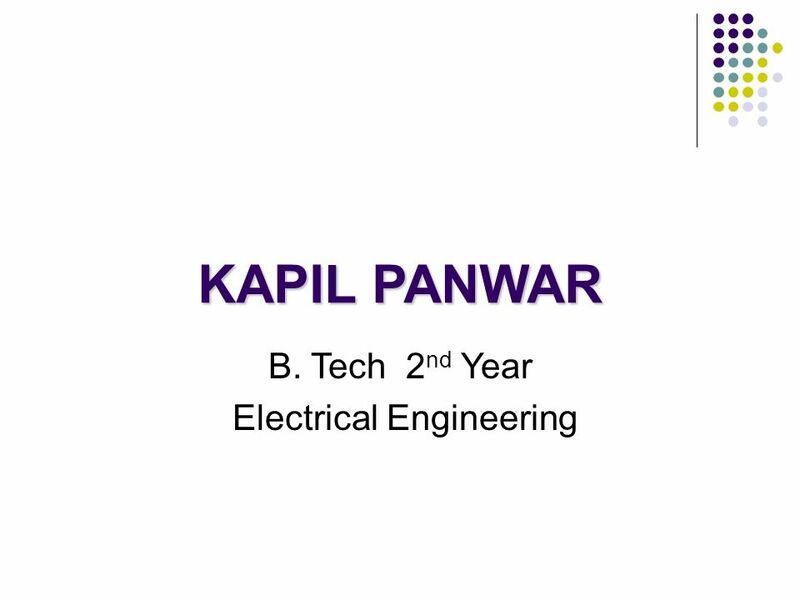 Download ppt "KAPIL PANWAR B. Tech 2 nd Year Electrical Engineering." Complex power. It is a standard practice to represent S, P, and Q in the form of a triangle, known as the power triangle, shown in Fig. (a). This. 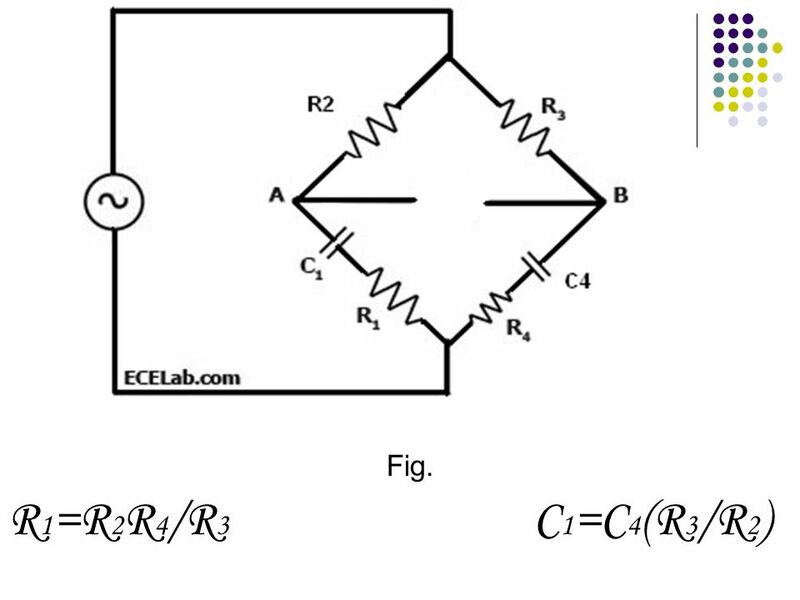 BRIDGES IMPEDANCE MEASUREMENT Experiment # 4 September 20, 2000 EE 312 Basic Electronics Instrumentation Laboratory Fall 2000. 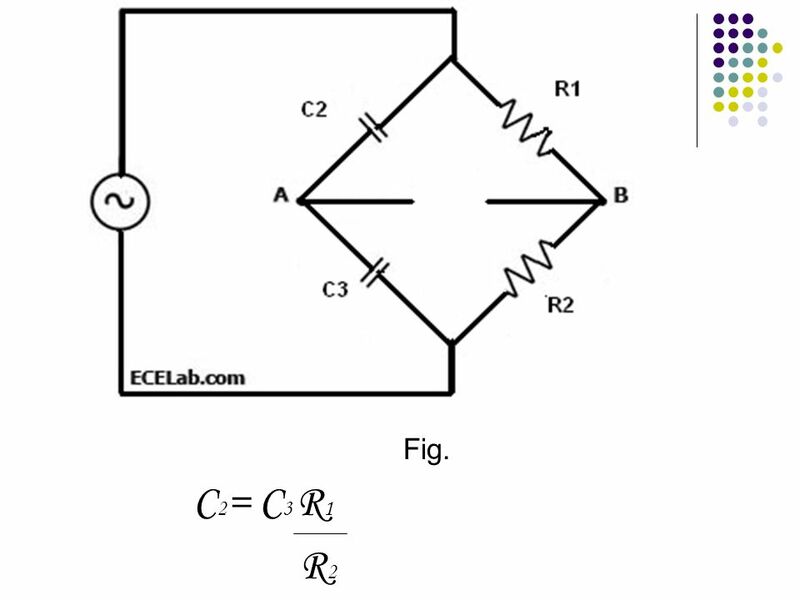 CHAPTER 7 Alternating Current Bridge. Chapter 19 Methods of AC Analysis. 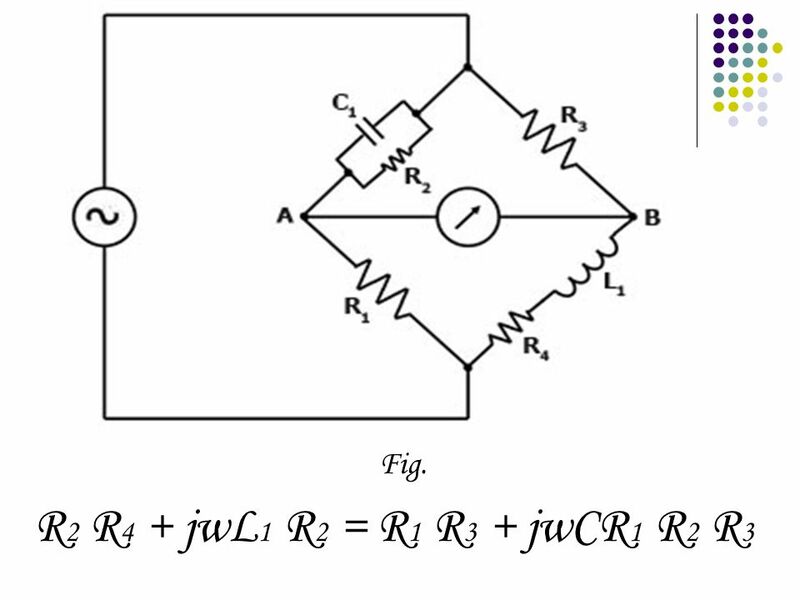 2 Dependent Sources Voltages and currents of independent sources –Not dependent upon any voltage or current elsewhere. Q31.1 A resistor is connected across an ac source as shown. 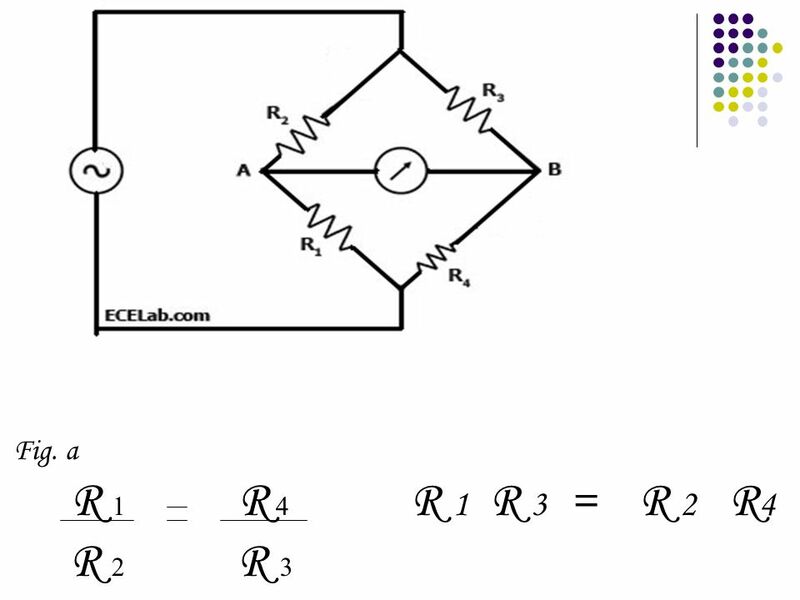 Which graph correctly shows the instantaneous current through the resistor and the instantaneous. The resistance measured by Wheatstone electric bridge School of Electronics & Applied Physics, Hefei University of Technology. 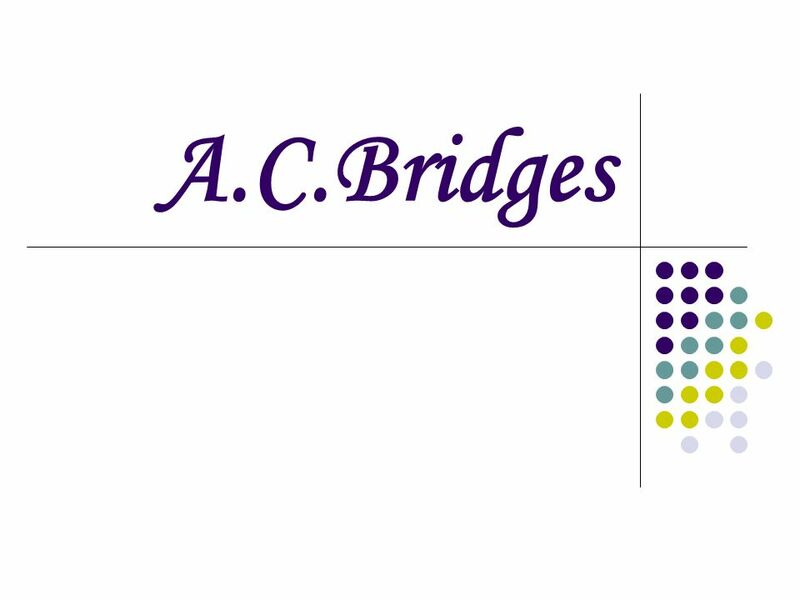 CHAPTER 5 DC AND AC BRIDGES. Problem Solving Part 2 Resonance. Oscillators 1 मंगलवार, 18 अगस्त 2015 मंगलवार, 18 अगस्त 2015 मंगलवार, 18 अगस्त 2015 मंगलवार, 18 अगस्त 2015 मंगलवार, 18 अगस्त 2015 मंगलवार, 18 अगस्त 2015.